While liberals maintain that wealthy supporters of the president have nothing to gain from their financial contributions, a number of his biggest donors have a great deal at stake this election season. Here are five Obama donors who stand to reap generous rewards if the president gets four more years. 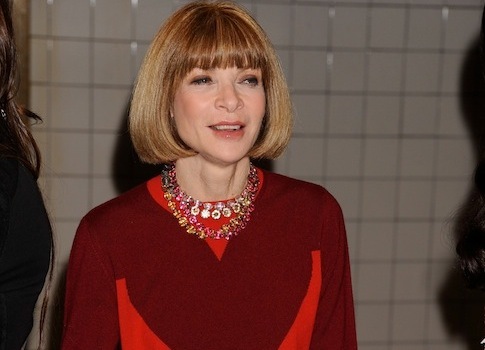 Anna Wintour, editor of Vogue and real-life inspiration for The Devil Wears Prada, is one of Obama’s largest and most prominent bundlers, having pledged to raise more than $500,000 for his reelection campaign. In addition to maxing out to Obama and the DNC, Wintour has cohosted numerous fundraisers for Obama and made a video for a contest to win a dinner with Wintour, the Obamas, and Sarah Jessica Parker. During a second term for Obama, Wintour could be headed across the pond: the Guardian has speculated that Wintour could be named ambassador to the United Kingdom, replacing current UK ambassador and former Obama super-fundraiser Louis Susman. Recently, Wintour has come under fire for Vogue’s efforts to glamorize Asma al-Assad, the wife of Syrian dictator Bashar al-Assad. Terry "The Macker" McAuliffe has been a Democrat rainmaker for years. 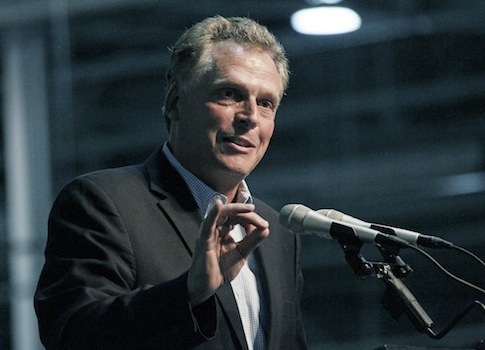 During the 2008 cycle, McAuliffe served as campaign chairman for Hillary Clinton. Four years and one failed gubernatorial bid later, McAuliffe has emerged as one of Obama’s most important fundraisers. As a bundler for Obama, McAuliffe has committed to raising more than $500,000 for the president's reelection effort. His latest venture is GreenTech, an electric car company that recently opened a plant in Horn Lake, Mississippi. McAuliffe purchased the company from China. In February 2012, GreenTech automotive executives attended a U.S. State Department luncheon honoring Chinese Vice President Xi Jinping, at which Vice President Joe Biden personally introduced McAuliffe to Xi. During a second term for Obama, McAuliffe’s GreenTech stands to benefit from Obama’s pledge to "invest in a clean energy future." The Obama administration has also released new fuel-economy standards, which will require cars to achieve 54.5 miles per gallon by 2025. 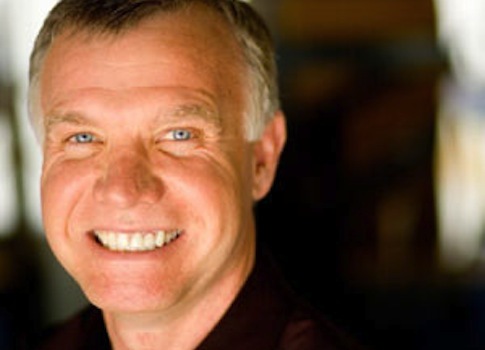 Colorado gay rights activist Tim Gill and his husband Scott Miller have committed to bundling more than $500,000 for the Obama reelection effort. Gill was one of the initial supporters of the liberal, secretive network of donors known as Democracy Alliance. During the 2012 cycle, Gill is busy targeting lawmakers who helped kill a civil union bill in Colorado. In May, Obama was forced to flip flop on gay marriage after a Biden appearance on Meet The Press went horribly wrong. During a second term for Obama, Gill and Miller would likely be pleased by Obama’s continued willingness to ignore the Defense of Marriage Act, which was passed by Congress and signed into law by Bill Clinton. After Chris Christie defeated Jon Corzine in 2009, the former Goldman Sachs CEO took over MF Global. 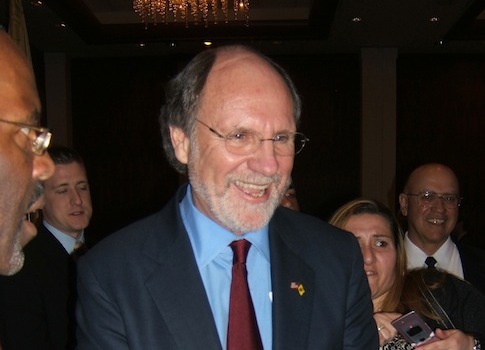 In November 2011, Corzine resigned from MF Global less than a week after it filed for bankruptcy and left hundreds of millions of dollars unaccounted for. Corzine, Obama’s "Wall Street Guy," is a major bundler for Obama, committed to raising at least $500,000 for the campaign. A second term for Obama could be critical for the disgraced former CEO. At this time, it appears that there will not be a criminal investigation into Corzine and the MF Global scandal. Would Corzine still be in the clear if Obama loses? Not a joke: Corzine is considering starting a hedge fund. Perhaps Obama’s closest friend among his campaign bundlers is Robert Wolf. Obama’s friendship with Wolf dates back to 2006, when they met in George Soros’ conference room. The two have played golf together numerous times since Obama took office. Wolf is committed to bundling more than $500,000 for the Obama campaign. How would Wolf benefit from Obama’s second term? He needs a job. 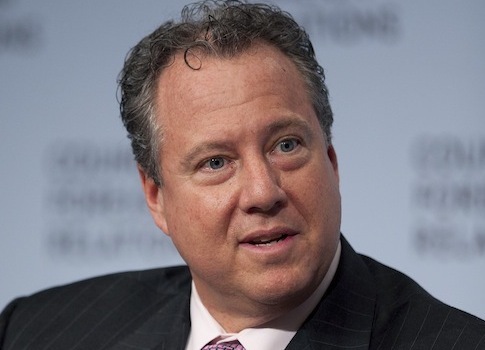 Wolf left UBS, the Swiss bank where he had served as president and chairman of UBS Americas, in July. Wolf’s relationship with Obama and his propensity to flaunt it ruffled some feathers inside UBS. The bank even took measures to rein in Wolf by trying to limit his availability to the media. If Anna Wintour is qualified to serve as ambassador, surely Wolf is qualified to do something in a second Obama administration, as well. This entry was posted in Politics and tagged Democratic Donors, Jon Corzine, Obama Administration, Obama Campaign, Robert Wolf, Terry McAuliffe. Bookmark the permalink.